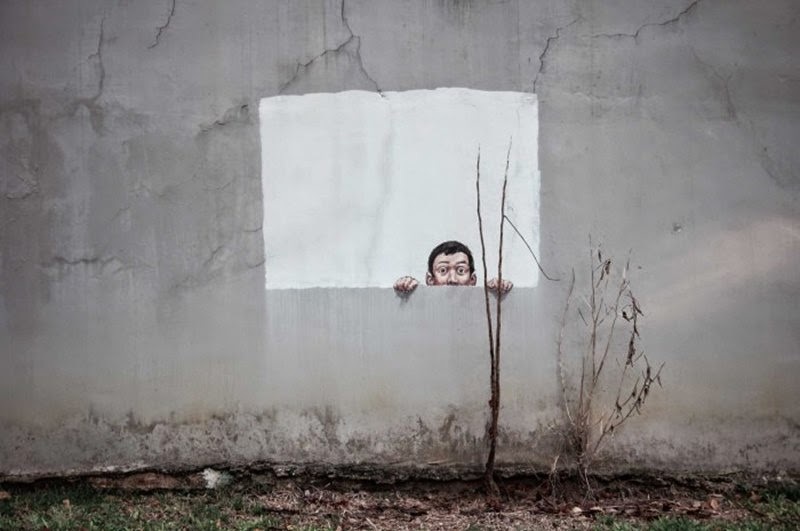 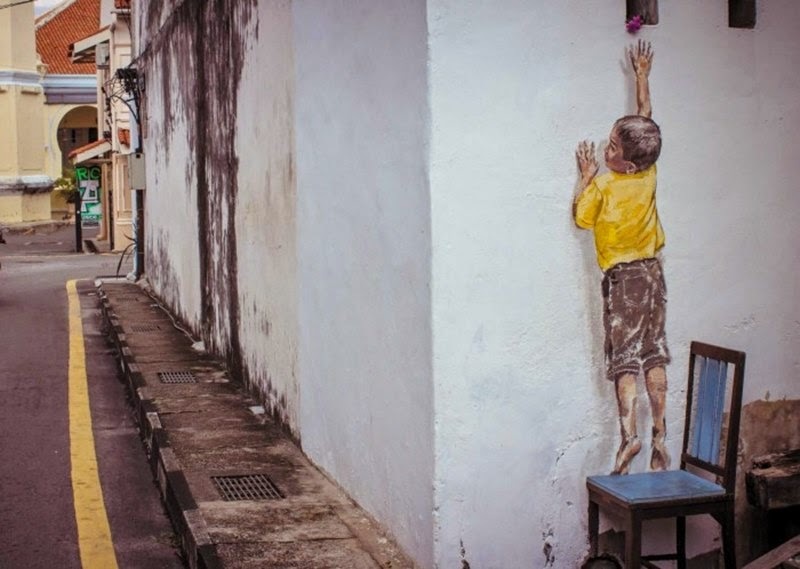 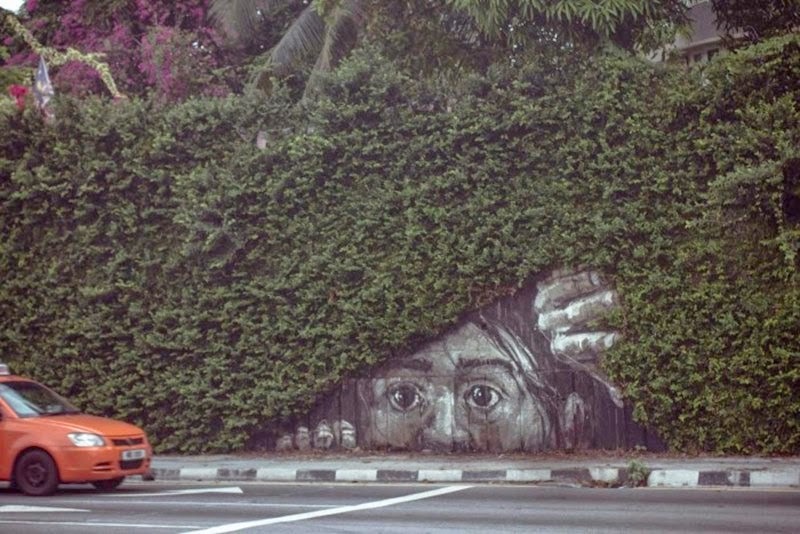 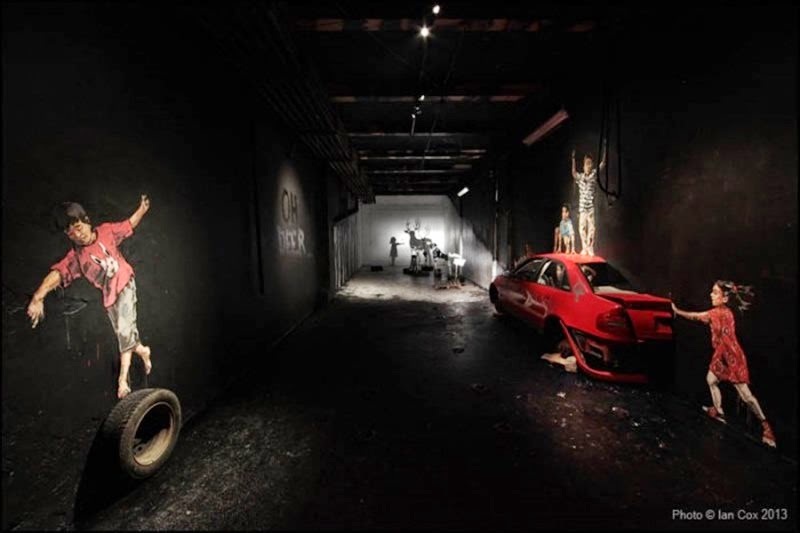 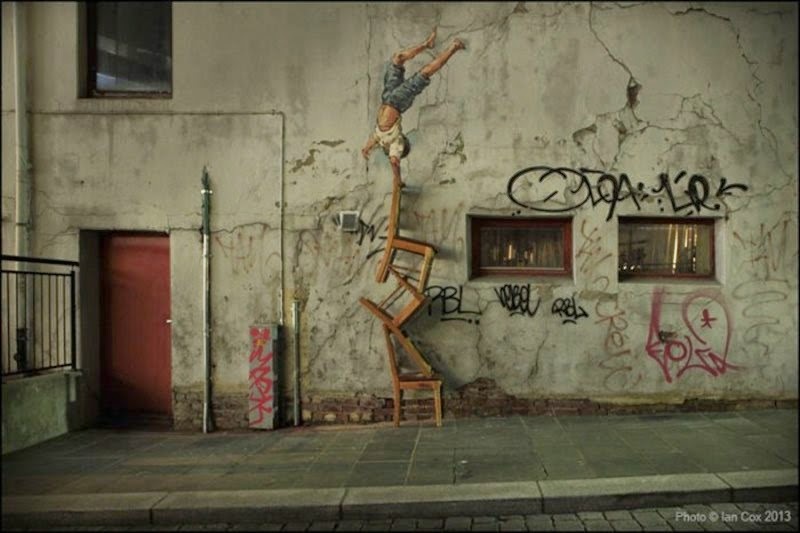 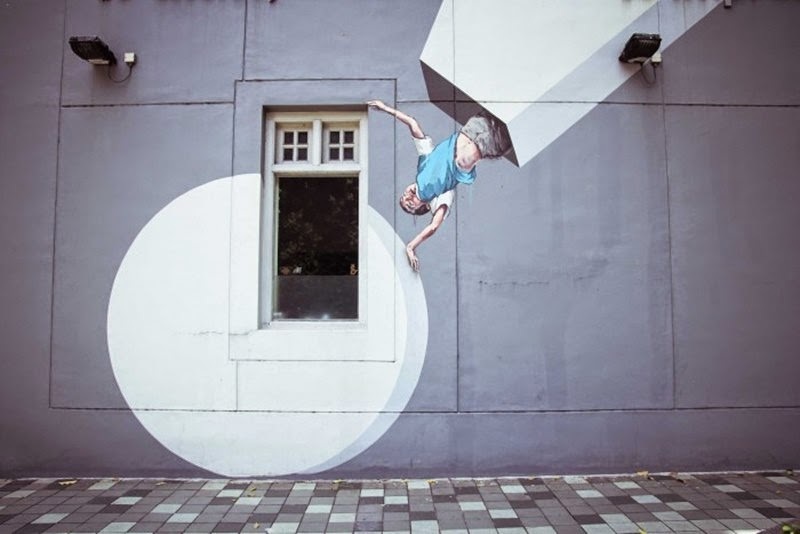 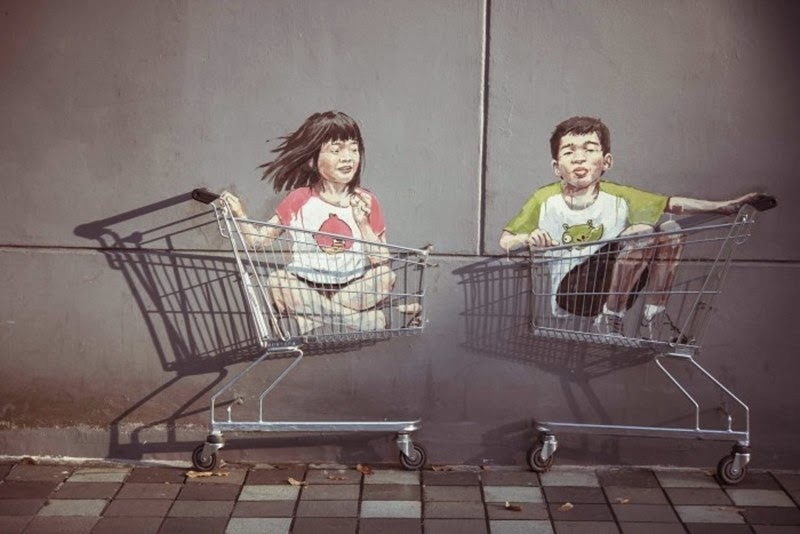 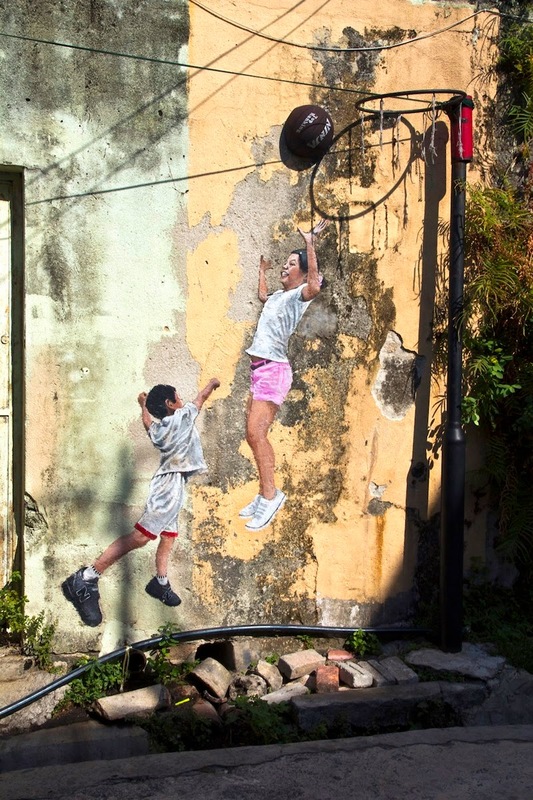 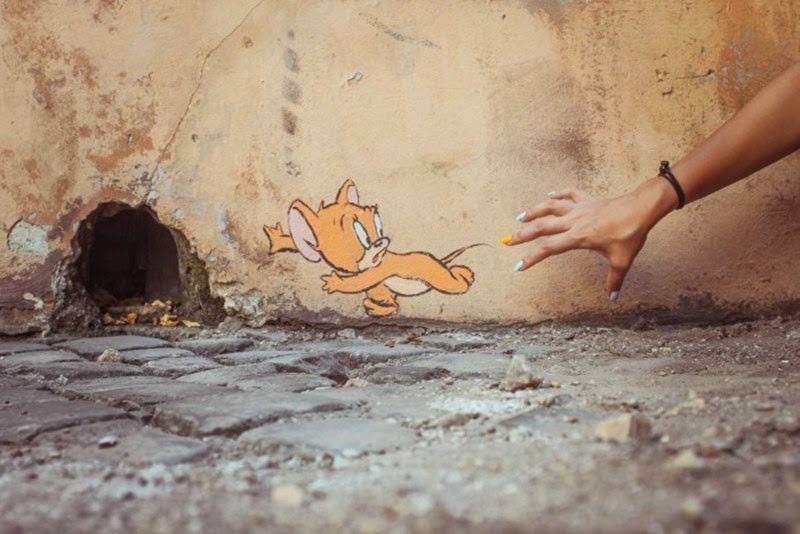 Ernest Zacharevic is a Lithuanian street artist currently living in George Town, located in the province of Penang, Malaysia. 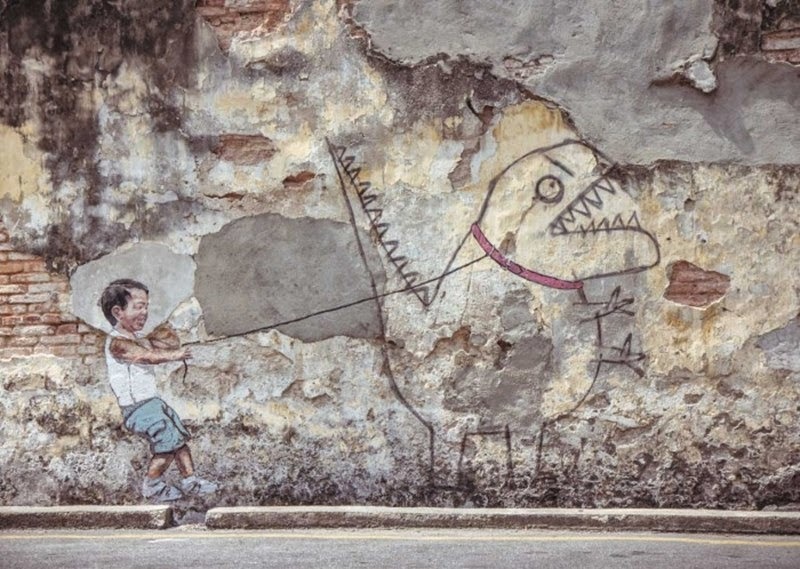 As part of the George Town Festival that runs from June 15 – July 15, Ernest has been putting up some incredible street art all around the city. 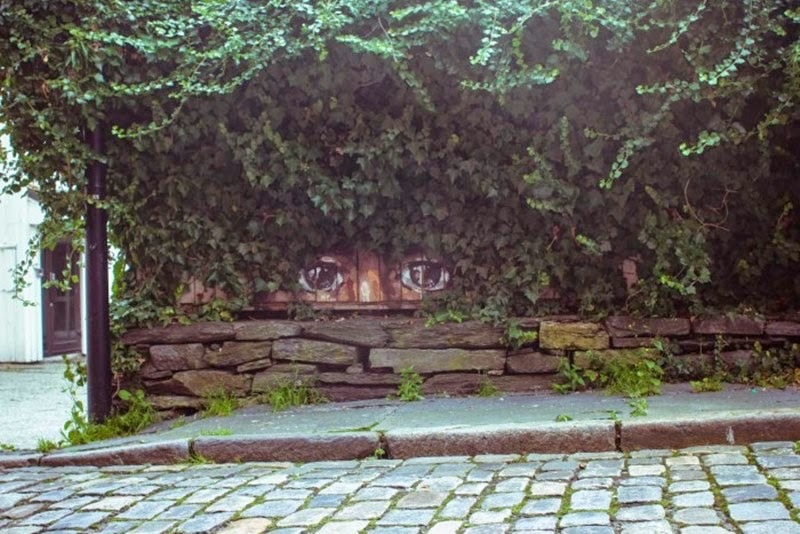 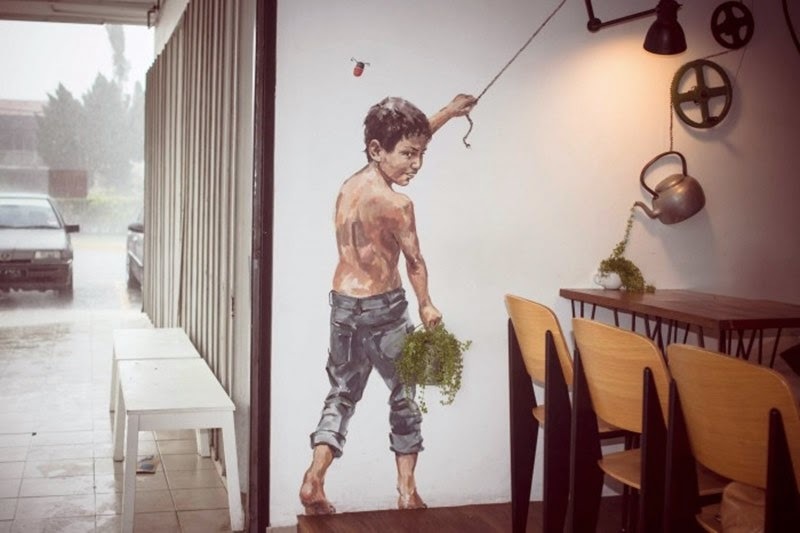 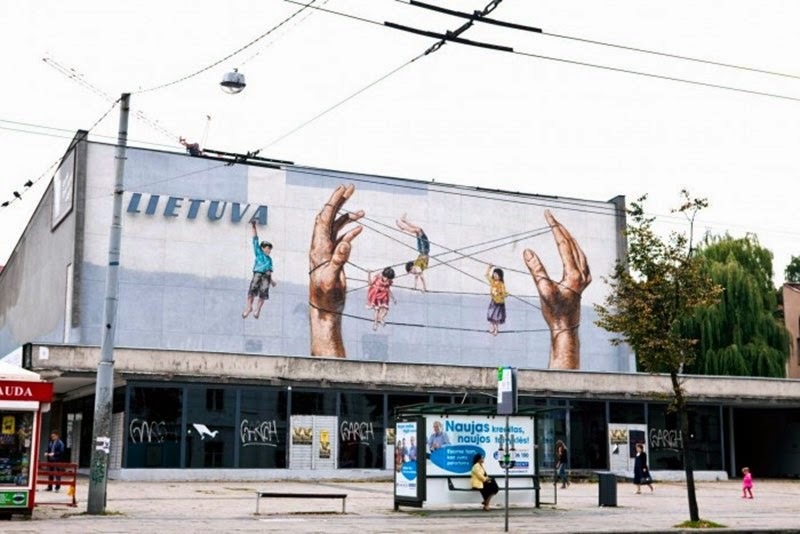 The piece getting the most buzz online has been his artwork featuring two kids painted on a wall. 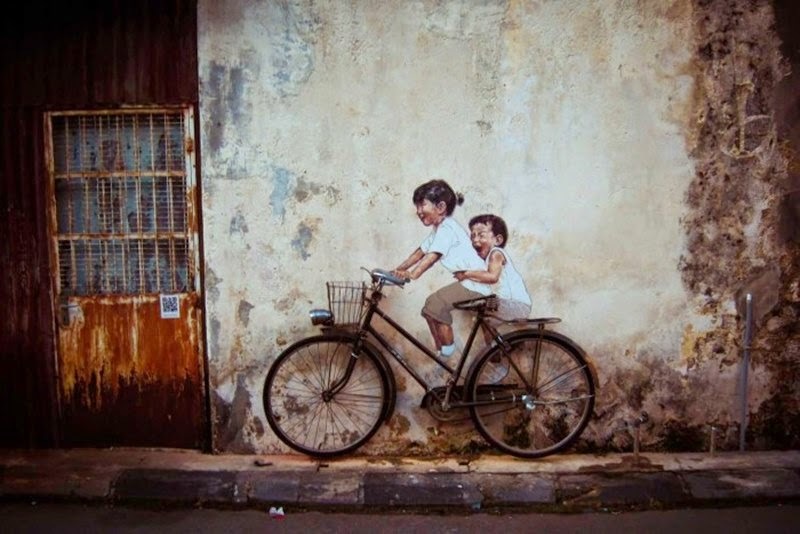 He then strategically placed a real bike in front of the wall which not only gave the piece a three dimensional feel (that you can physically touch), but encouraged people to interact with the artwork and use their own creativity to put their personal spin on it. 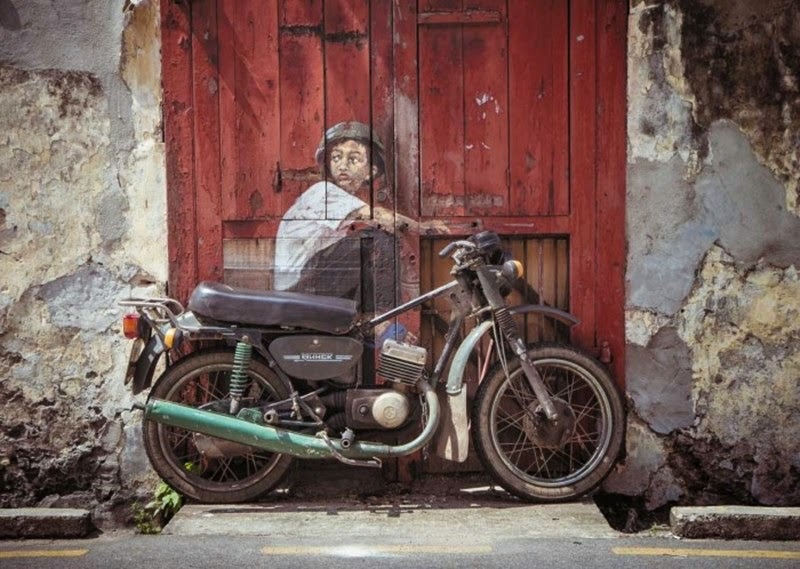 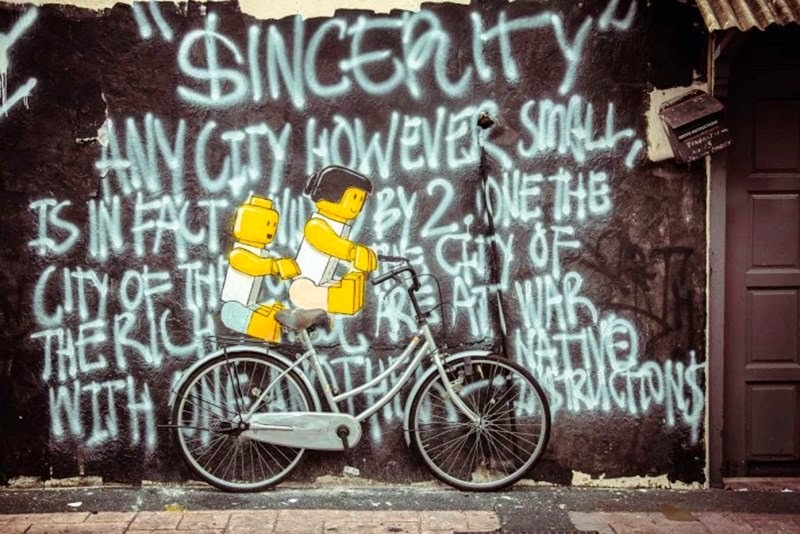 The results have been spectacular, and the street art on Armenian Street has generated over a hundred submissions to Ernest’s Facebook page. 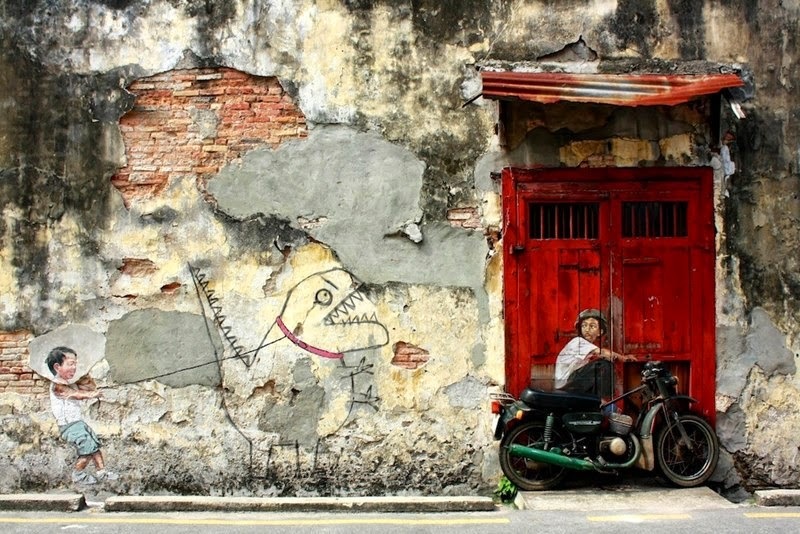 You can check out the entire gallery here on Facebook.